so go check that out! 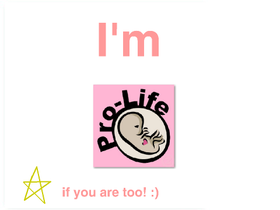 Pro life all the way! Are you?